We all love snuggling under and falling asleep between freshly cleaned bedding at home, so why should this be any different when camping in the great outdoors?! This is why we have designed our Revive Family Sleeping Bag Range which is completely exclusive to Vango! 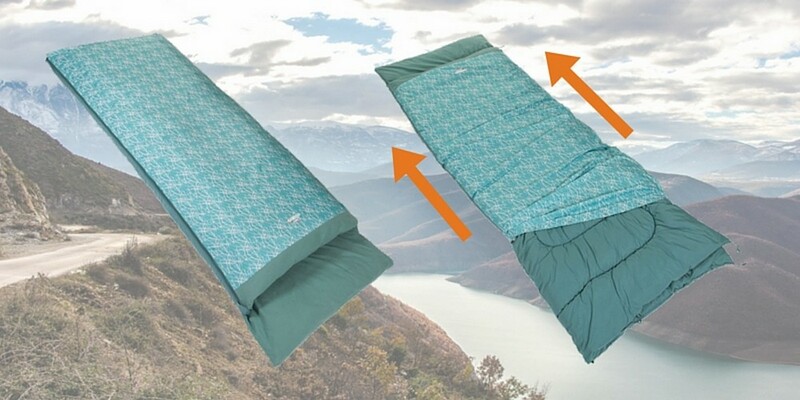 Maintaining your sleeping bag couldn’t be simpler! The Revive Sleeping Bag range utilises a unique design which allows you to easily remove the cover, meaning you can wash and freshen up your sleeping bag after each camping adventure. 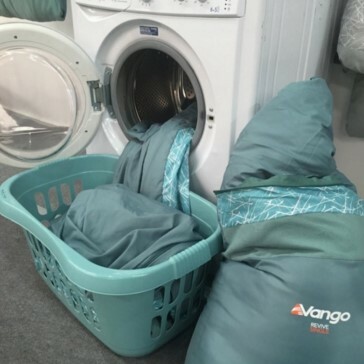 Developed by the Vango Family Camping Team, we wanted to create a family sleeping bag which made it much easier for campers to wash and maintain their sleeping bag, throughout all of those family camping trips! With the removable cover, just like your duvet at home, it can be washed and re-assembled when you please. It’s as simple as that! Stay stylish on the campsite, with the Revive’s modern pattern and vibrant colours, designed to fit in perfectly with your style and shade of tent. As well as a welcoming look, the Revive features a 100% cotton flannel lining which is an exceedingly soft to the touch fabric that will keep you warm and cosy throughout the night! Not only this, the outer of the bag utilises a 210T microfibre polyester textile, creating a breathable fabric to keep you comfortable no matter what climate you may be in. The filling of the Revive sleeping bag is made using single hole siliconised hollow fibre insulation, increasing the durability and maximising lofting for extra warmth. The Revive is a 3 season bag, making it perfect for any camping holiday, long or short! Additional features which can also be found in the Revive range is a woven zip puller which comes with a zip guard and anti-catch piping meaning you can easily use the sleeping bags zip without it snagging on the fabric. Furthermore, we have added a two-way auto lock-zip to this bag which allows you to seal in warmth but if need be you can open to ventilate the sleeping bag. Finally, the sleeping bag has a handy internal pocket, ideal for your essentials that you like to keep close to hand! The Revive Sleeping bag range which is available in a single and double aims to make camping more simple and comfortable for all. Create the ultimate sleeping experience and get that home from home, luxurious feel with the Vango Revive!